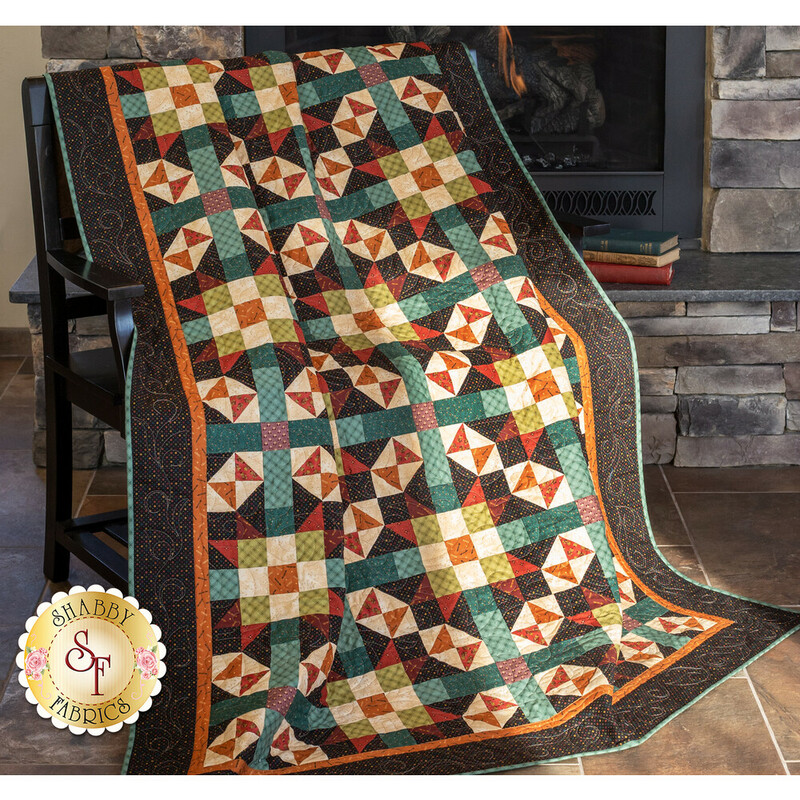 The beautiful Infinity quilt features just two beautiful blocks that when arranged create an infinitely interlocking appearance. 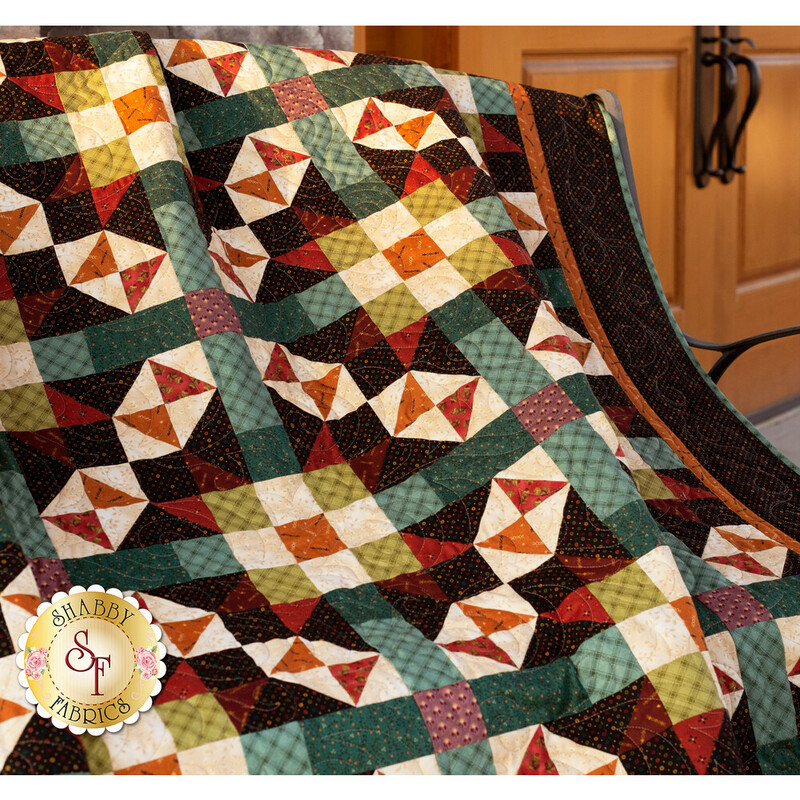 This Shabby Fabrics exclusive design looks complex but actually only includes squares, rectangles and half-square triangles! 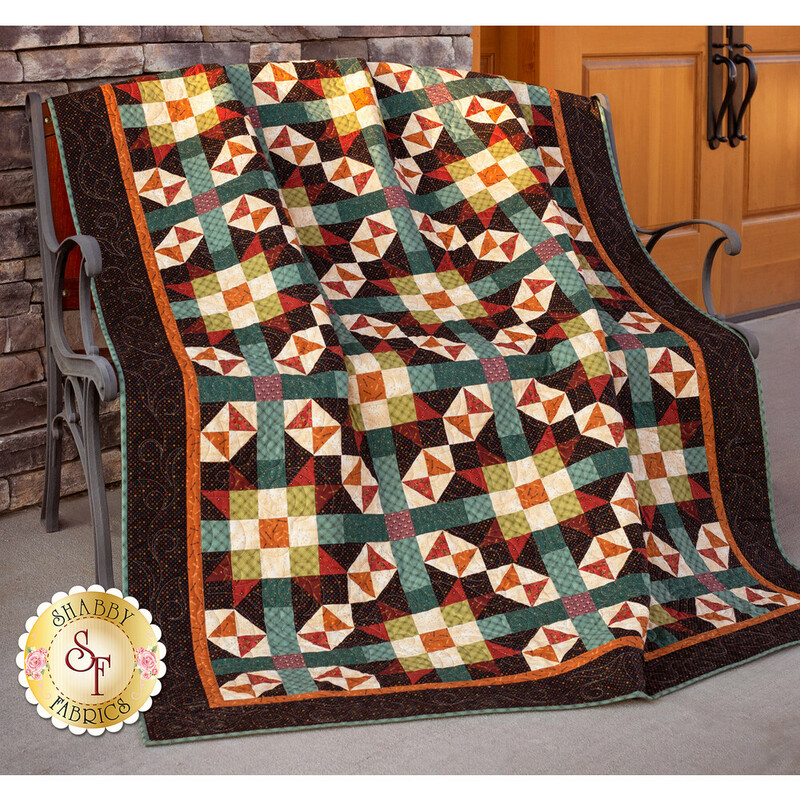 Quilt measures approximately 60" x 80". All Fabrics for Top, including Borders and Binding. Backing not included, requires 5-1/4 yds.